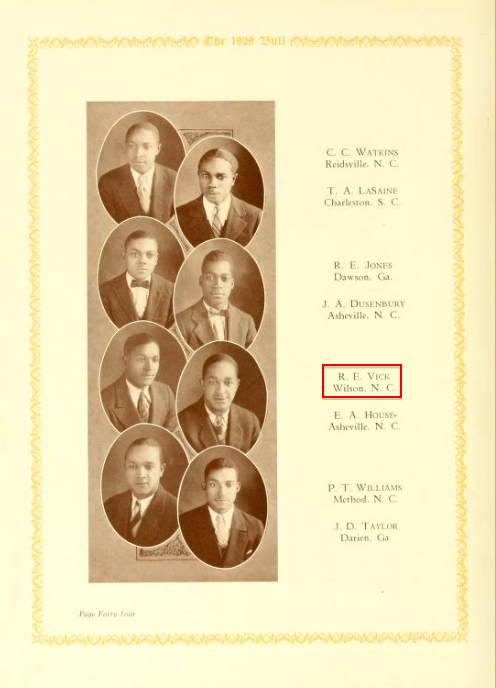 Robert E. Vick, Class of ’30. The Bull (1929), Johnson C. Smith University, Charlotte, North Carolina. The Bull (1930), Johnson C. Smith University, Charlotte, North Carolina. 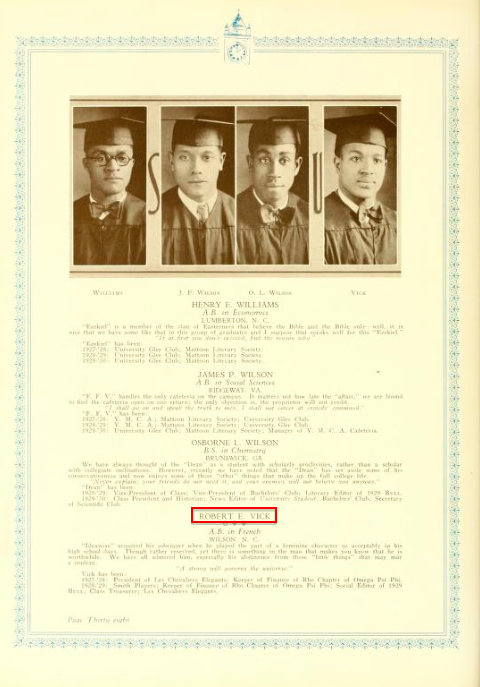 Robert Elliott Vick (1908-2001) was the youngest son of Samuel and Annie Washington Vick. ← I want to come back right away.